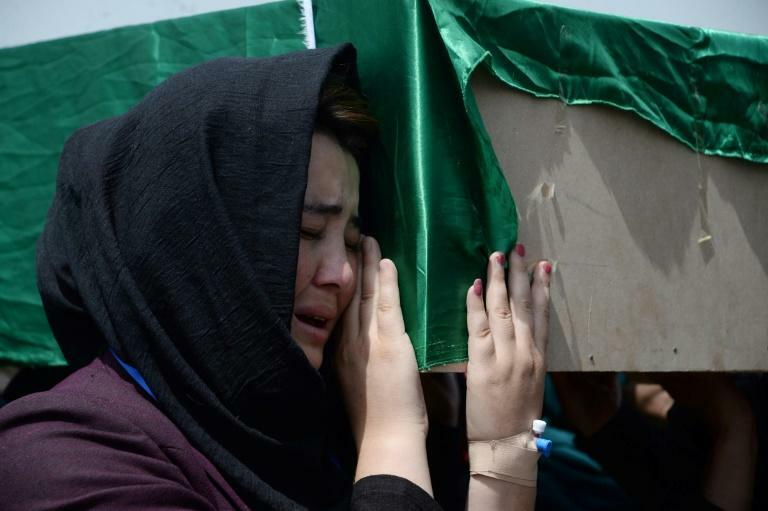 Rights groups Thursday condemned a suicide blast inside a school that killed dozens of students in Kabul a day earlier, as outrage over the attack grew while tearful families buried loved ones in the war-weary Afghan capital. The Islamic State-claimed blast hit an education centre in a Shiite area of western Kabul where students were studying for college entrance exams. The attack was just one of the most shocking in a blood-soaked week across Afghanistan that has left security forces and civilians reeling. Two gunmen attacked an intelligence training centre in Kabul Thursday, firing on security forces for several hours before they were killed, police spokesman Hashmat Stanikzai said, adding that there were no other casualties. Thursday's attack was also claimed by the Islamic State via their Amaq propaganda service. In addition to the IS attacks, Taliban militants also delivered high-profile, demoralising blows in the strategic city of Ghazni -- which they attacked last week, forcing security forces backed by US air power to struggle for days to push them out -- and in Faryab, where they captured a northern base, killing at least 17 soldiers. Security forces in Afghanistan, beset by desertions and killings, have suffered staggering losses since US-led NATO ended its combat mission in the country in 2014. The week's violence has raised questions about their ability to hold off the resurgent Taliban. But civilians have long taken the brunt of the violence in Afghanistan -- especially in Kabul, a target of both the Taliban and IS -- and Wednesday's attack on the school was branded a "war crime" by Amnesty International. The majority of the victims were children, most aged between 16 and 18, authorities said, and were studying for their university entrance exams. Amnesty warned it proved "beyond any doubt that Afghanistan and, in particular, its capital Kabul, are not safe", and said European countries must stop returning Afghan refugees to the war-torn country. UNICEF, meanwhile, branded the attack "deplorable" and called for parties on all sides of the conflict to protect children. Outrage was also growing on social media, where Afghans condemned the attack and angrily denounced those behind it -- as well as the government for failing to protect them. Facebook user Ramazan Ali Ramazan described the victims as an "asset" to the country. "Death and hatred to this government and filthy terrorist that everyday they are killing innocent Afghans," he added. Families of the dead held a mass funeral Thursday where mourners wept and clutched the wooden coffins. 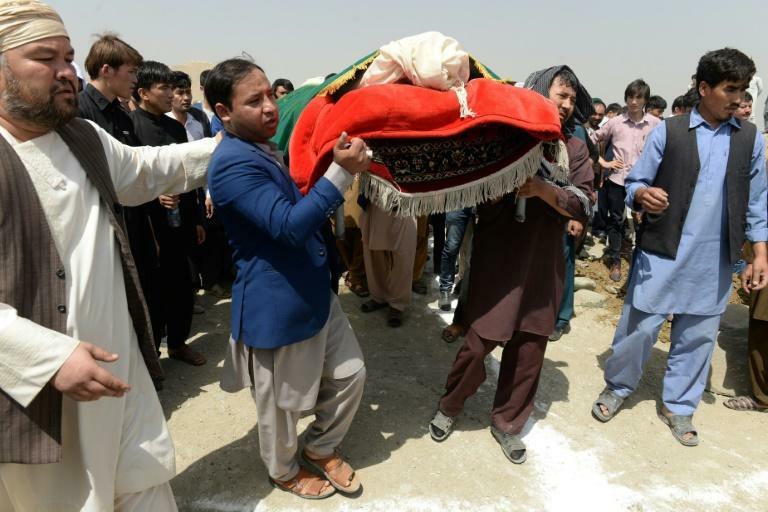 Mourners decried the unrelenting bloodshed, while others dismissed murmurings of possible ceasefires and peace negotiations between the government and the Taliban, even though the attack was claimed by IS. "Death to your ceasefire and death to your ghost peace talks," cried one of the funeral attendees. "They are killing our educated people and every day they are killing us." The surge in violence comes just weeks after Afghans marked an unprecedented country-wide ceasefire between the Taliban and government forces in June, offering temporary relief to civilians. The brief respite sparked hopes the truce could clear the way for talks to end the nearly 17-year-old conflict. However the devastating attacks across the country in recent days have led many to question how such negotiations could move ahead. "Everyday we are witnessing deadly attacks in Kabul and other major cities. So, I believe the Taliban do not believe in peace talks," said shopkeeper Shahenshah Shahin in Kabul. Analysts have suggested the Taliban may be trying to shore up its position before any potential negotiations by proving they can hit government installations at will. "The Taliban will try to have an upper hand during talks, so we can't rule out more attacks until a ceasefire," said Taliban expert Rahimullah Yusufzai. 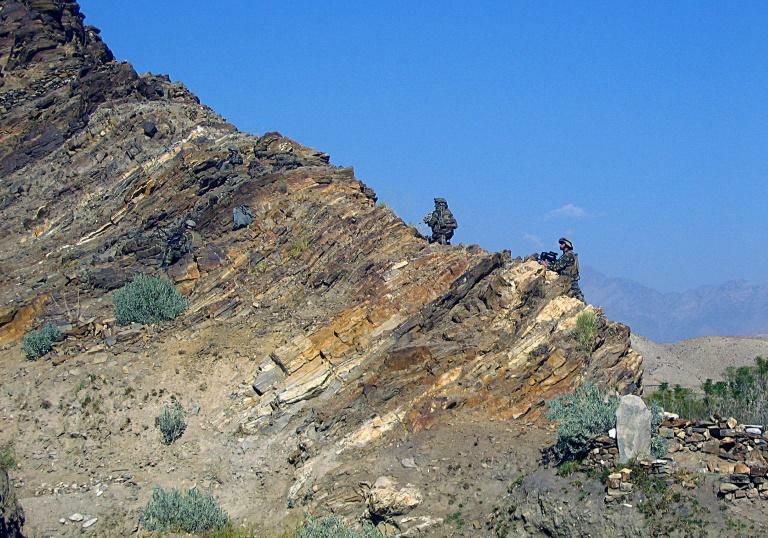 "It's the fighting season and the Taliban will want to rack up victories before winter." The group has been conducting blistering attacks on security forces across Afghanistan, including the massive, days-long onslaught on Ghazni during the past week. Small pockets of Ghazni began opening up to humanitarian aid Thursday, while partial mobile service returned after telecommunications infrastructure and government buildings were destroyed during the onslaught. The UN has warned of unconfirmed reports suggesting up to 150 civilians might have been killed in the fighting. Militant attacks and suicide bombings were the leading causes of civilian deaths in the first half of 2018, according to a recent UN report.